Great Opportunity to Join Nation’s Top Brand in Women’s Retail-Resale Business in Eagan, MN. 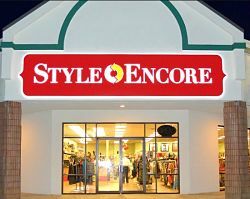 This Style Encore® business has been operating for about 5 years as a local favorite for gently used woman's apparel. They have an established Email and customer database in addition to their Website and Facebook presence with 6.5k likes. Operating system and fully trained employees in place. This is a great opportunity for a new owner to take over this established business and grow it to it's full potential. No previous experience is needed as full training will be provided. Style Encore® is the answer for the fashion needs of women specifically in their upper 20s to mid-50s. Our typical customers are career women, young professionals just getting started in the business world, moms and shoppers who are fashion, bargain and recycling conscious. Style Encore® is the newest member of Winmark® family of high-quality retail-resale brands. 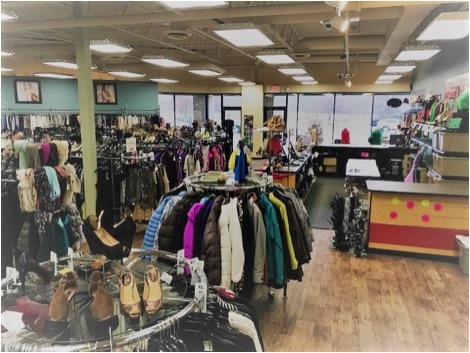 Designed as the big sister to Plato’s Closet®, Style Encore® provides gently used apparel, shoes and accessories for women in their late twenties and up. From beautiful, trending casual wear to sharp, stylish business apparel, Style Encore offers premier brands like Gucci® and Louis Vuitton® at a remarkable discount, as well as the latest styles from value brands like Old Navy® and White House Black Market®, allowing customers to craft their own unique style for a price they can actually afford. To find out more about this Style Encore franchise for Sale please fill in the form below and submit. Eagan - Minnesota - $65000 SOLD!